Hi Everyone! Thank you for coming to my blog! 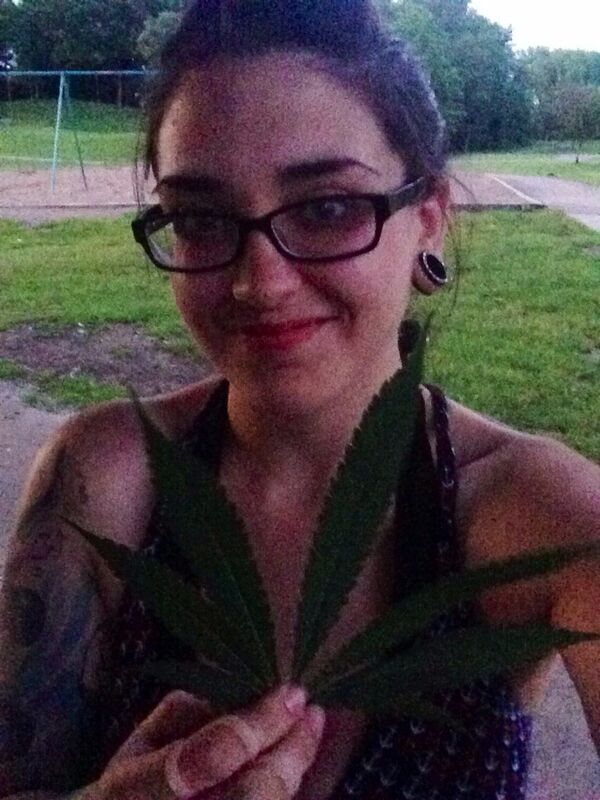 My name is Jennessa Lea and I am a 29 year old single mother who uses cannabis as my choice in medicine to fight Ehlers Danlos Syndrome. From a young age I suffered from pain and instability in my joints, as well as other weird health issues that were never addressed. As I got older, the pain got worse. 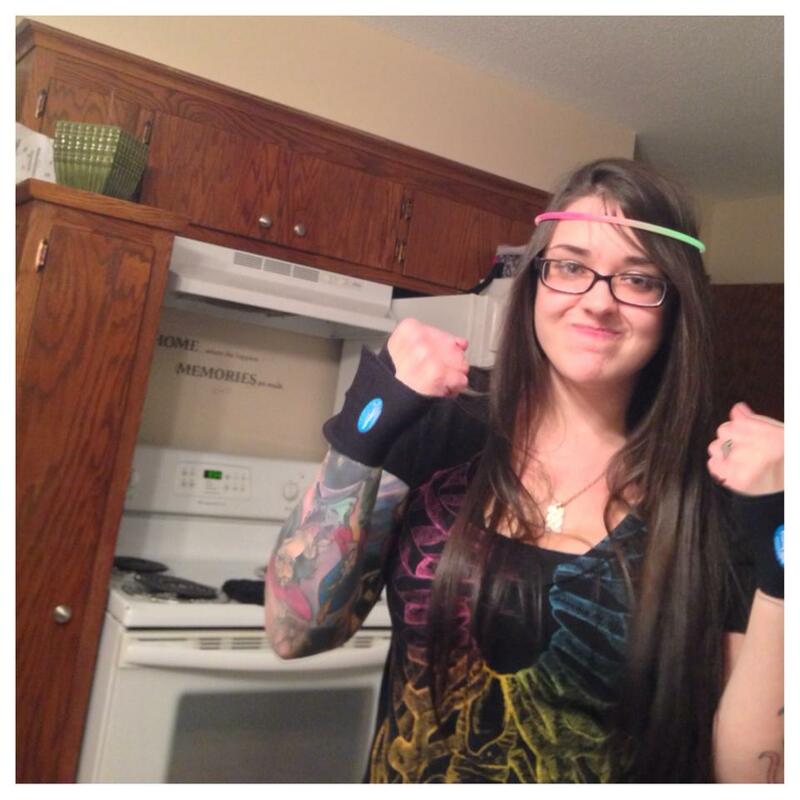 When I had my daughter at 20, things got much worse. My health declined drastically, and my weight increased significantly. These issues led me on my search in modern western medicine to find out what was wrong with me. I went to many doctors, and had many procedures and tests done. 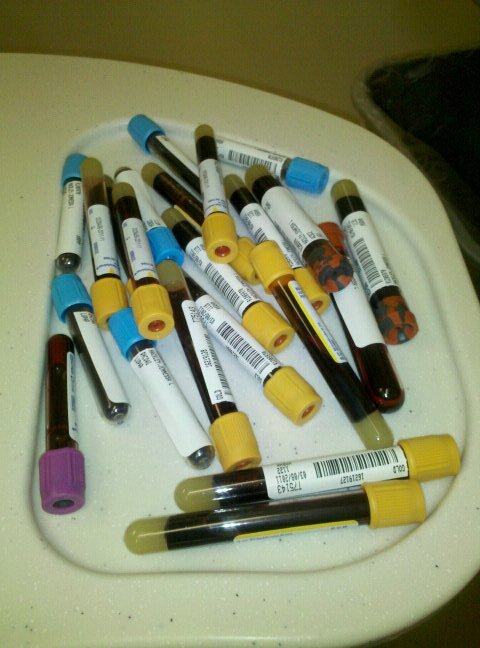 It was at this time they diagnosed me with Lupus, an autoimmune disease. Soon after, the doctors referred me to a pain clinic. I was immediately given a prescription of oxycodone 5 mg to use 6 times a day. Whoa! Was I happy, but boy was I ignorant! At this point I was 22 years old and a brand new mom. I trusted what the doctors told me and thought that taking the medication was what I should be doing. After all, it did rid me of my pain and make me feel like superwoman. Why wouldn’t I continue to take a prescription my doctor was telling me to? At this point I had no clue what I was getting myself into. Here is what the doctors don’t tell you about opiates: your body gets dependent on them. I hate when people ask me,“”Did you get addicted?” As if I had a choice. You don’t have a choice with opiates. Once you start taking opiates (oxycodone, morphine, percocet, vicodin, etc.) on a daily basis, your body becomes dependent on them. No choice had. They also don’t tell you how fast your tolerance increases. But rest assured, the doctors will be there to increase your dose. 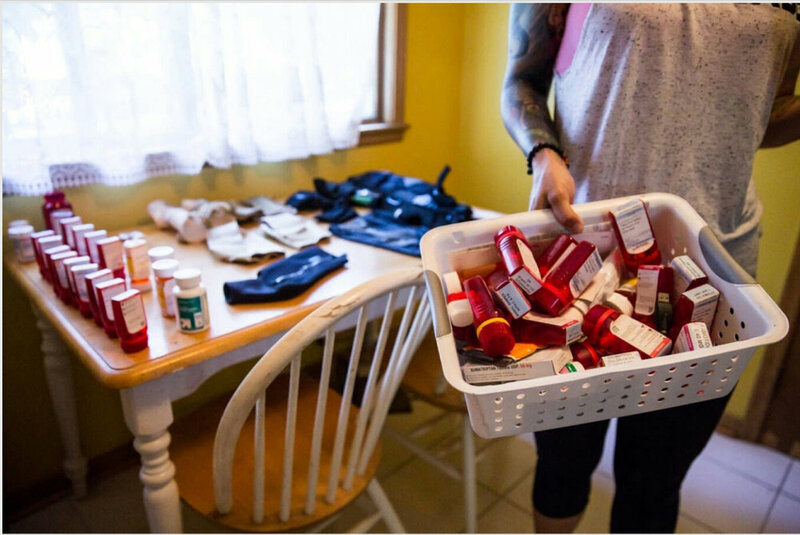 Within a few months, my dose increased, and by the time I was finished at the pain clinic, I was being prescribed 150mg of oxycodone, and 90mg of morphine on a daily basis. I was 25 years old, a single mother, significantly overweight, and in a lot of pain still, even with the prescriptions. By the end of my 4+ year stretch of being prescribed these drugs I would run out of them because it is never enough, thanks to tolerance. I always thought that one more pill would make the pain go away, and I didn’t have the knowledge or strength to stop myself. Because of this I was going through terrible withdrawal as well. I was exhausted from the opiates, in pain, confused about my health issues and didn’t want to live anymore. This illness and the medication that it subsequently brought into my life made me want to give up and die. And then I tried cannabis. I started using cannabis on a regular basis when I discovered the difference in quality of life I had while medicating. I was 25 and at my wits end with opiates. With cannabis I was in less pain, I was more mobile, and it gave me a quality of life I had lost while on opiates. This also played a major role in my mental health and depression. For the first time I had hope again, and that was huge. What I wasn’t anymore was doped up in bed, on opiates. I continued to medicate with cannabis and was discharged from the pain clinic after testing positive for THC. They discharged me immediately without decreasing my prescriptions, because it is policy, despite knowing patients can die during this very dangerous time. I was thrown into an awful withdrawal, but that was the pavement for which I set my comeback. I knew then I would never allow myself to become dependent on a drug that had the power to make me feel so sick that I wanted to die. I knew the choice I had to make: get off as many prescriptions as possible and use cannabis instead. At this point I had been medicating regularly with flower cannabis for about a year, but my health was still decreasing. I knew something was wrong, but the doctors didn’t know what with until January 2013. It was then I was finally diagnosed with Ehlers Danlos Syndrome. With EDS there is a problem with the formation and structure of collagen and connective tissue in the body. Connective tissue is a fibrous tissue that gives support, structure, and binds, or connects parts of the body together. Collagen is a type of protein and is one of the main components of connective tissue. Collagen is also found in the tendons, ligaments and cartilage around joints, as well as the blood . In someone with EDS, faulty genes mean that the amount of collagen in the body can be reduced, and/or the collagen and connective tissue can be weaker. It can affect the skin, joints and blood vessels throughout the body leading to fragile and stretchy (hyperelastic) skin, unstable and loose (hypermobile) joints, and fragile blood vessels and body tissues. Finally. I had some answers. Receiving a diagnoses of Ehlers Danlos Syndrome helped me understand my body and how I needed to fight the disease to become the best version of me again. At this point I was in full bracing on my wrists, fingers, knees and ankles. The bracing was basically holding my body together, but I was also being fitted for a wheelchair because I would often fall, and injury myself more. It was an awful cycle I desperately wanted to get out of, so I did just that. I started going to water physical therapy, and doing land PT at home. I slowly started to build muscle around my weak joints and learned correct posture. My physical therapist and I worked on retaining my muscles and the proper way to hold my unstable body together with the least amount of hyperextending and injuries, thus attributing to less pain. At this point my health plan became clear. I had to continue to medicate with cannabis enough to fight the pain EDS had brought into my life, so I could get my physical therapy done everyday and continue to build muscle. This is imperative to my quality of life and why I am so passionate about fitness now. If I don’t continue to build I will regress, and I will not let myself regress. Over time, loose joints that hyperextend and dislocate often will cause deterioration and osteoarthritis. In particular my knees were the source of a lot of pain and instability (along with my ankles) that kept me from being able to run, but not anymore. Now I am training for a 5K. In February 2014 I had right knee surgery to repair some of and take out part of a torn meniscus, and in March of 2016 a similar surgery on the left MN. I can’t put into words how important these surgeries have been to my recovery. I spent all winter working out inside at the YMCA in preparation for my upcoming surgery to get my knees as strong as I could. As soon as I felt good enough after my surgery, I continued my physical therapy and strengthening. I have learned, as long as I stay dedicated with my wellness regimen, I feel better and better! I do have speed bumps, most recently a re-tear of my right meniscus a few weeks after my left knee surgery. Before deciding to jump back into surgery, I will work on strengthening it with physical therapy and fight the pain with cannabis! I also took a deep look into what I was ingesting into my body and really changed up my eating habits. Before this epiphany I ate fast food, and never looked at labels. This was something that needed to change. So, I researched the significance of cutting sugars, GMO’s, salts and processed foods from my diet would do, as well as the importance of choosing organic. It didn’t take long of eating clean to really understand that how you feel is directly related to what you put in your body. Implementing this knowledge into my everyday life has been a big contributing factor to my health success. I have lost a total of 100lbs from my heaviest weight after I had my daughter in 2007. Another major contributing factor for my recent health and wellness success came after I started using Rick Simpson Oil in the winter of 2015. This treatment has seen much success and started to receive worldwide recognition after curing many of cancer and helping aid in the quality of life for many who have illness without cures such as multiple sclerosis, chrons disease, AIDS, arthritis, just to name a few. After doing some research, I learned the goal was to ingest 60 grams of RSO oil in 90 days. I was only able to ingest half of the treatment as it is still illegal in Minnesota and hard to find and could only afford half the treatment last I was in Colorado. I hope to make it to a legal state again soon to finish up my treatment in the proper way. A major reason it has taken me a while to talk so openly about my story is because during all this time, I became a survivor of domestic violence. From February 2013 until July 2015, I could have died on numerous occasions. Upon my diagnoses, I became very insecure and allowed an extremely emotionally and physically abusive person to reside in my life. I also lacked any family support, which made being codependent on my abuser very easy. It took time, but eventually I started to seek refuge in the time I spent strengthening my body. I would often leave my residence to go workout, knowing he couldn’t hurt me when I wasn’t near him. This is when I really started to put in significant time to physical therapy again, it was early summer 2015. I spent a lot of time outside at parks working out on my yoga mat, hooping and renting kayaks. It was so rewarding to feel stronger, and put space between myself and my abuser. A box full of prescriptions and all my bracing laid out on the table for an Interview I did with Minnesota Public Radio Summer of 2015. This success inspired me to continue and never give up. With the new found love I had for myself I grew emotionally strong enough to get an order for protection against my abuser, and got him out of my life once and for good in July 2015. Through all of this, I am a mother first. My daughter is now 9 years old and was diagnosed herself with EDS in 2015, as it is genetic. She is truly my greatest inspiration and reason for life. Raegan has given me strength to fight this disease and leave my abuser. She has been with me through illness, opiate dependency, abuse and will also have to face the battles EDS will bring to her, too. These are all the reasons she must see me fight, and in the healthiest way possible so that she will make the best choices for herself once she is an adult. 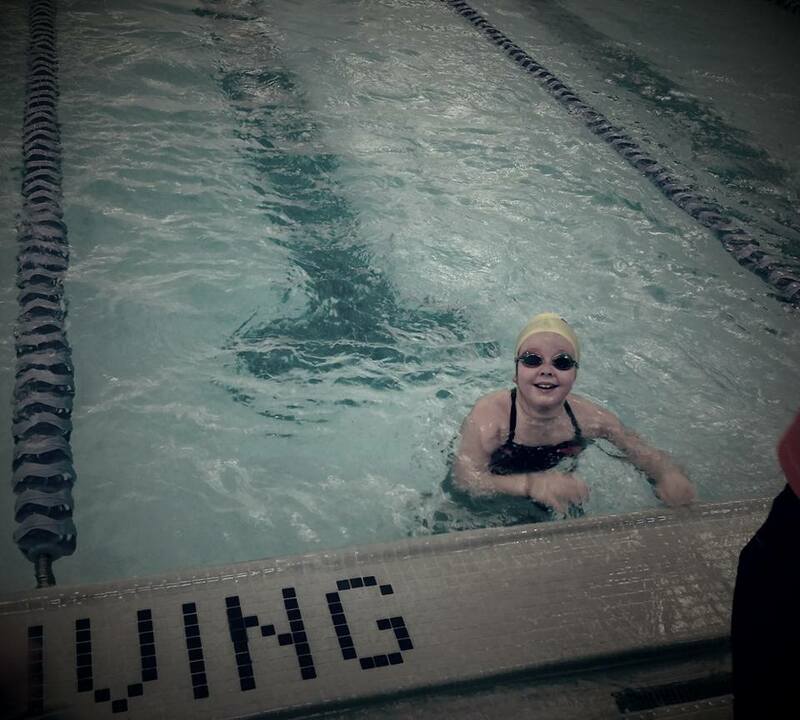 For now, she is working on building her strength through swim team and physical fitness, and being my greatest joy. With my personal experience I learned while trying to navigate my illnesses I felt it was important to speak out about the harms of opiates, and the success I found with cannabis. In May 2014, I heard on the news there was a group of cannabis activists trying to get a working medical program in Minnesota, so I decided to go share my story and testify at the state capitol. You can watch a video here! Since then, I have been an active cannabis activist talking to legislators and press about the issues Minnesotans face trying to medicate with cannabis. I have been interviewed for radio and news stations alike. Check out my media page for all links to articles. There is no cure for Ehlers Danlos Syndrome, but I have found a successful way of managing my symptoms using cannabis, eating healthy and physical fitness. Using these tools I have taken control over my own health, and have taken back my life. Because of this I have a quality of life I was told by doctors I would never achieve and it brings me so much joy to prove the doctors wrong. If there is one message I would like to get out it is that I want anyone who has had a doctor tell them they will only achieve certain things; not to believe them! Fight it! Figure out what works for your body! We should have the right to choose! I hope this story inspires you to take control of your own health and wellness, and speak out about the great things cannabis can do! Thank you for taking the time out to read this story! If you enjoyed it, please let me know in the comments. Also, please like and share my story if you found it inspiring, want the truth about cannabis to be heard, and to #BREAKTHESTIGMA!